Have you ever competed in a game where you were so afraid to make a mistake? You could feel the tension in your muscles increase and your heart beating a little faster. Your palms were sweaty and you couldn’t seem to stop thinking about messing up. You performed so tentatively that you hoped the ball or puck wouldn’t come your way. Then, when it was time to perform, the very thing you feared happened… you messed up. 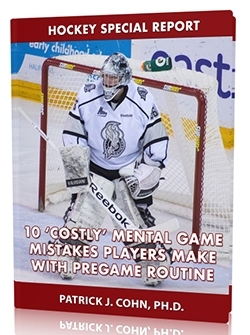 The fear of messing up or making mistakes is a common issue for athletes in sports, which can lead to a mental lapse. A mental lapse happens when unwarranted distractions divert your attention away from playing the game. Instead, your mind is filled with unproductive, negative thoughts. An athlete performs optimally when he is focused on a strategy or merely playing his “game.” When a player begins to focus on what he fears may happen, that focus then unconsciously becomes a target. Even though that player wants to avoid what he fears, quite often it becomes the target he hits (self-fulfilling prophecy). The Edmonton Oilers, currently 3-10-2, have lost five straight games and were shut out in the last two games. The Oilers have not made the playoffs since the 2005-06 season and have the worst record in the Western Conference this season. Understand fear – Fear affects your performance in a number of ways. Fear diverts your attention from the process of performing well and adversely affects your confidence. Fear also affects you physically by increasing tension in your muscles, increasing respiration and reducing energy within the body. Recognition of these signs can provide you with early warning signs and help you refocus and reconnect with a positive goal. 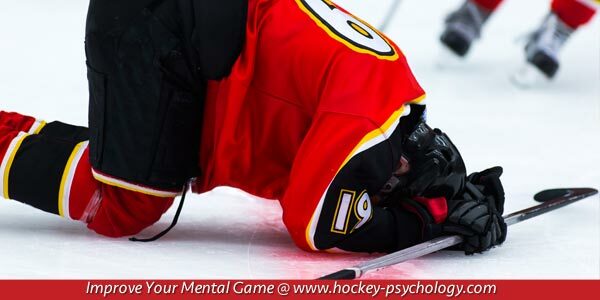 Take a break – A time-out or slight break in action can help interrupt your mind and provide the opportunity to focus on the necessary performance cues during games. You can use a phrase like “focus” or “snap out of it” to help you refocus. Focus on your game – You have been successful at some point in your athletic career. You need to focus on your strengths, your game plan or the things that help you play successfully. When you compete from your strengths, you gain a sense of control over your game and help minimize focusing on what you fear and potential negative outcomes.